Coffee. A magical drink that, each morning, awakens all our senses with its exquisite aromas. The hot beverage has been a part of mankind’s culture for so long that people have gradually developed a ritual-like behavior around it. Worldwide, coffee is so adored that almost every culture has adopted different habits of serving it. Depending on country’s traditions, coffee is served black, cold, hot, with whiskey, milk, pepper, or even with lemon. 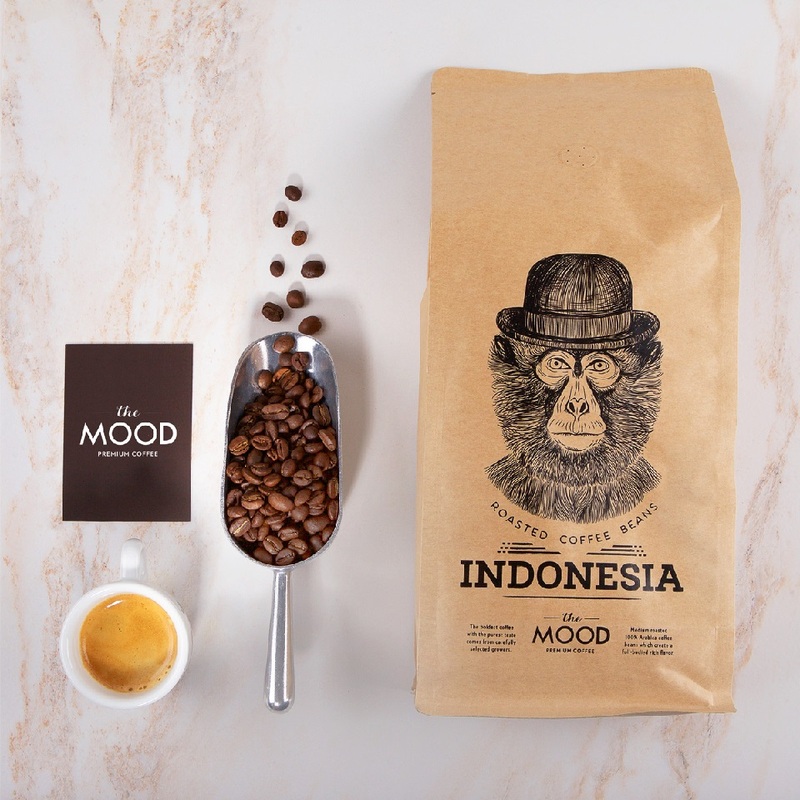 And if most people think that a delicious croissant, a fruit tart, or some chocolate muffins go best with a cup of coffee, we at branding.news prefer to boost our day with a coffee-themed packaging design, while sipping on a latte, of course. Now, are you in the mood for pure mountain coffee? 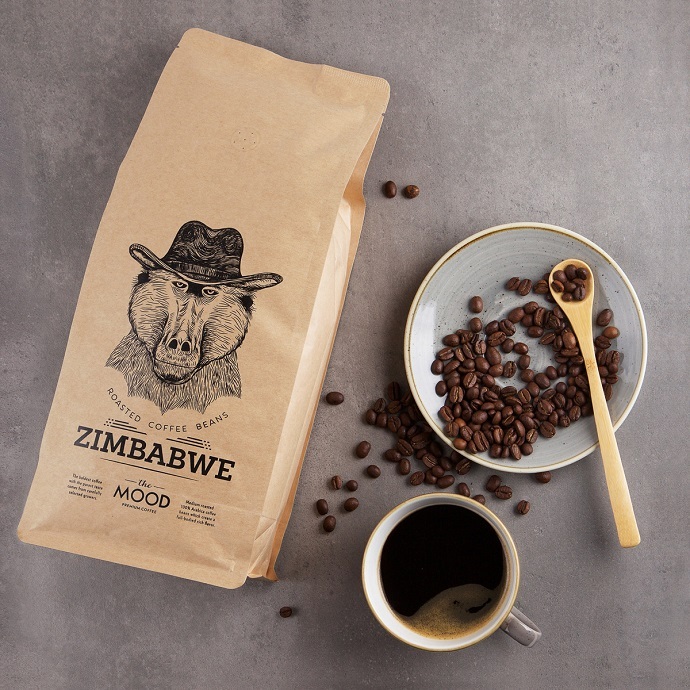 If so, then meet “The Mood,” a Lithuanian coffee company that offers 100% Medium roast Arabica beans from five regions such as Ethiopia, Tanzania, Indonesia, Colombia, and Zimbabwe. 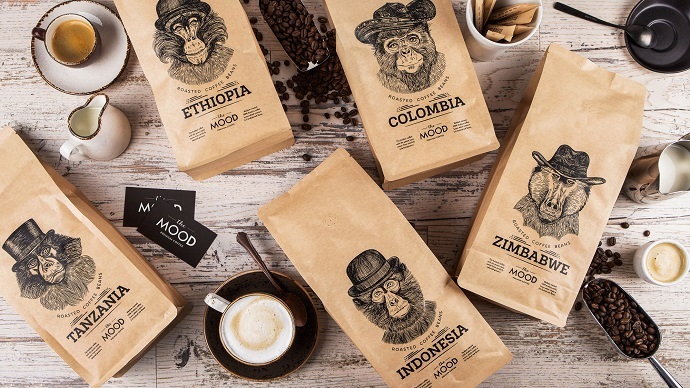 Nicely put, the brand brings a coffee type for every mood. 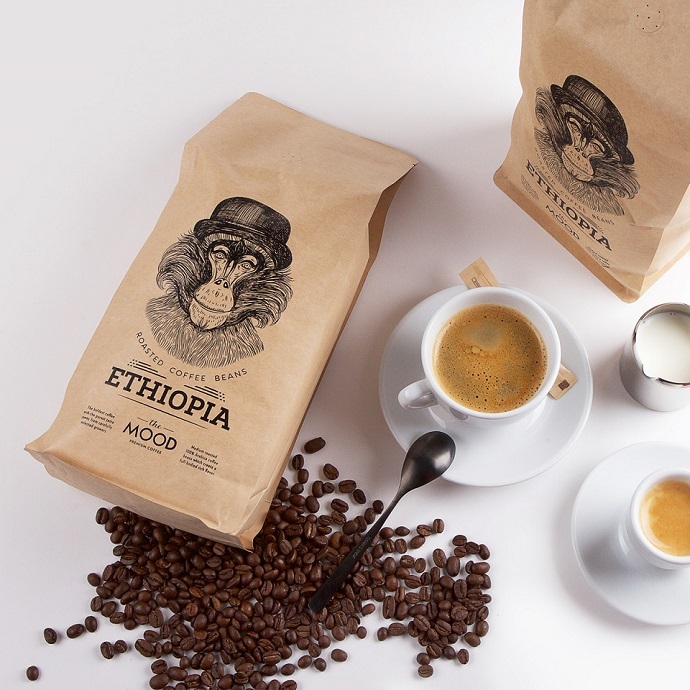 Enjoying cup a coffee from these kinds of beans sounds wonderful, but we’ll rather focus on unlocking the packaging’s symbolism, which was carefully created by Lithuanian artist Salvita Bingelytė. Much like the coffee beans, which are meticulously picked by hand, the young artist knew precisely what she has to do to underline the drink’s premium aroma. So, she flavored the coffee’s visuals with a very special ingredient. Salvita Bingelytė was given a free hand when creating the packaging, so she decided to stick to a design concept that reflects human moods and emotions. To better represent this idea and because they are pretty common among the selected regions, she selected monkeys, animals that are as complex and sophisticated as humans. 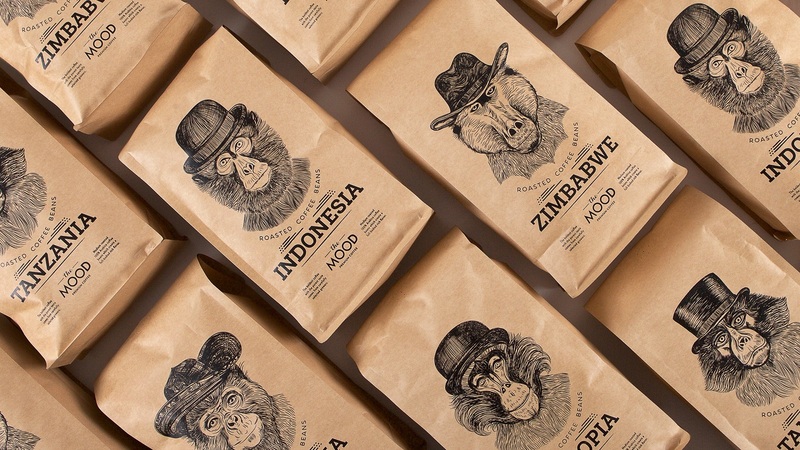 Being the official mascot of the company, the monkey can be found across all assortments. 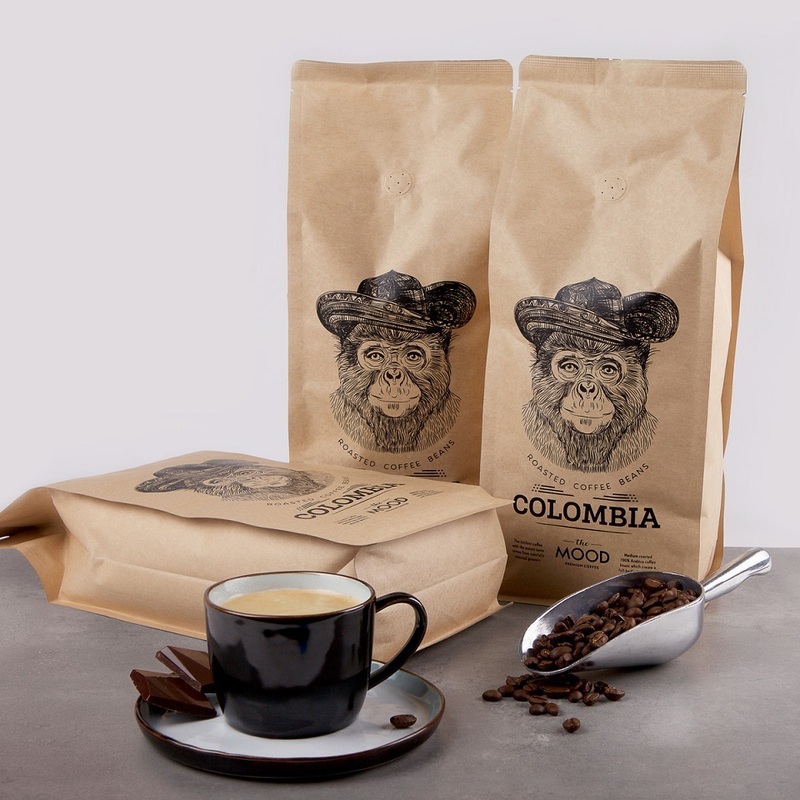 Only that, each coffee pack is embellished with the image of a specific monkey that currently exists and lives in one of the regions that host the high-quality coffee beans. The inspiration for this project is based on scientific research that points out that, just like humans, monkeys are capable of expressing empathy, emotions, and various moods. From here to creatively defining the supreme taste of these intensely aromatic beans was just one step. Monkeys are intelligent creatures and stand as a symbol of diplomacy. To reflect on this, the artist visually personified each monkey by assigning them a series of features that are specific to humans only. This is why it may seem that the monkeys on the packs are either smiling at you, are grumpy, or simply keep a poker face. 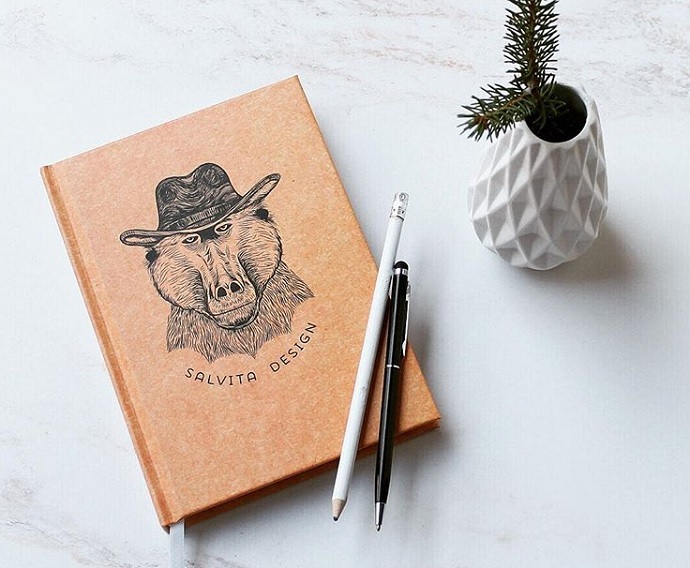 Although it may seem the hats on the heads of these creatures were placed there to simply complement the visual aesthetics, we can tell you that the head accessories are featured for a good reason. Being a statement of authority and power, the hat represents a sign of nobility and elegance. By featuring this particular item, the designer changed the entire meaning of the aesthetic ensemble. 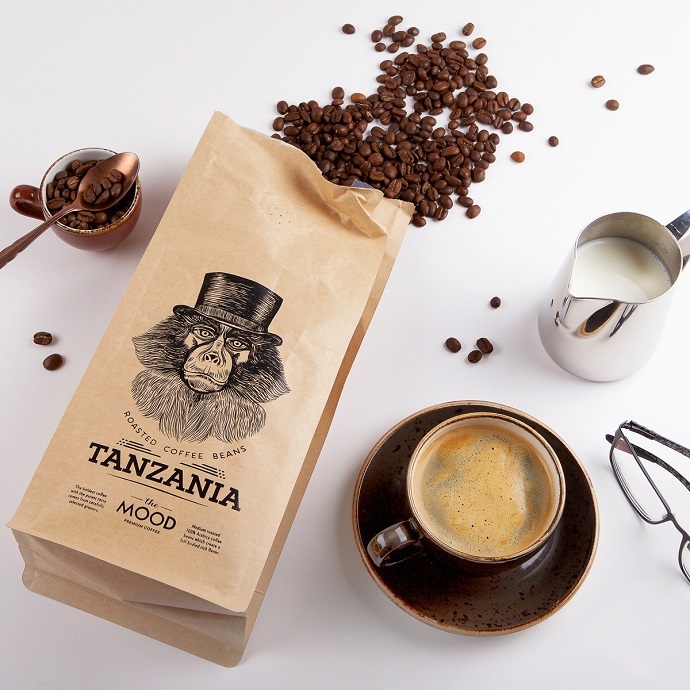 The hat, as a symbolic element, magnifies the monkeys’ diplomacy and doubles as a visual clue that reveals the premium quality that’s part of the coffee beans’ genetics. The illustrations were printed on really simple canvas, kraft paper. Even though the images are not so highly chromatic, they evoke a harmonious show that catches the viewers’ attention mainly through simplicity. No distractions. Just visual quality. Guaranteed! Salvita’s favorite illustration is the one that represents Zimbabwe and she decided to honor the image of the monkey by featuring it on one of her workbooks. What about you? Did you decide which illustration suits you the best?